Do you have old pictures with terrible noises and you're trying to restore them but the regular edition apps can't fix this problem? With InstaNoise - Enhance Noise Photos can easily end that problem and, at the same time, allows you to improve the colors of your picture with the amazing color effect tools. 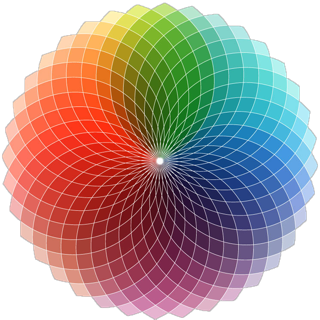 With features like Auto-Enhance, Black and White, Saturation, Brightness, Contrast and more, you can encrease the color quality of your image without being a advanced designer to do it. 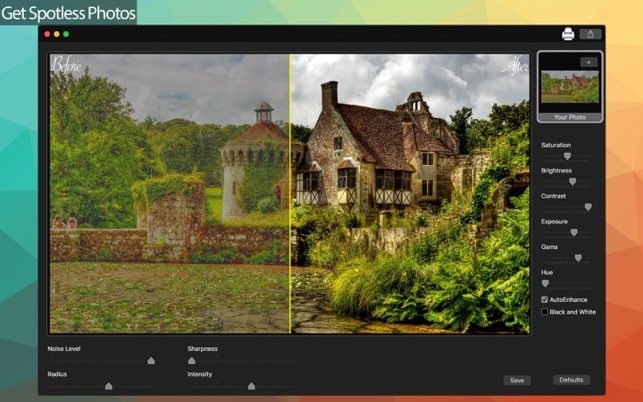 You can also correct the noise of your photo using the Noise Level, Radius, Sharpeness and Intensity tools. • Adding Images: You can add one image to adjust. 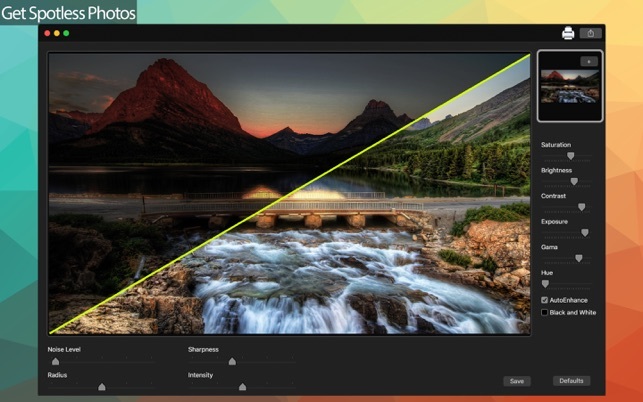 • Noise Correction: Restore the quality of your picture using Noise Level, Radius, Sharpeness and Intensity tools. 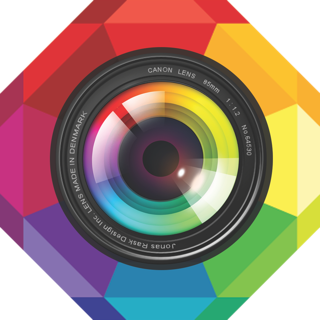 • Color Correction: Enhance the quality of your pictures using the tools Auto Enhance, Black and White , Contrast, Saturation, Brightness, Exposure, Gama and Hue. • Light Adjustment: Using the Exposure tool, it’s possible to increase or decrease the light effects of the picture. • Share on social media: With just a simple click, you can share your photo directly in social network. 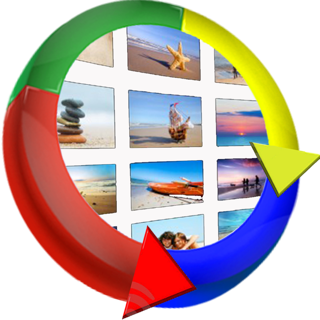 • Print images: You can print your new image with just one click. 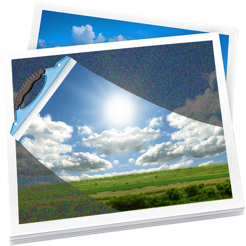 • Export Images: You can save your image with the formats PNG, JPEG, TIFF and BMP. • Flip horizontal and vertical. 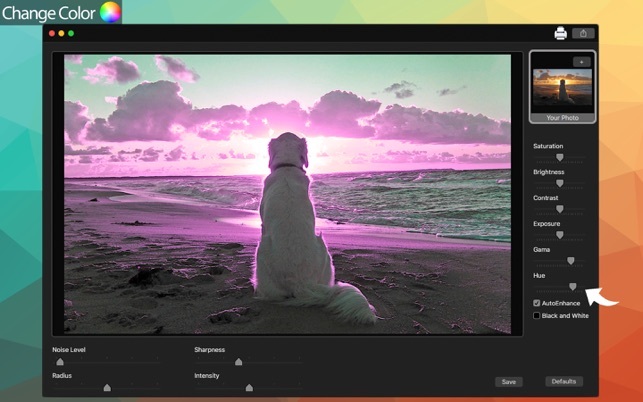 • Export the pictures to anywhere you want. • Easily print your photo. • Save images with PNG, JPEG, TIFF or BMP formats. • Simple sliders to help you to achieve the desired effect. 1. Click the [ + ] button to add images. 2. 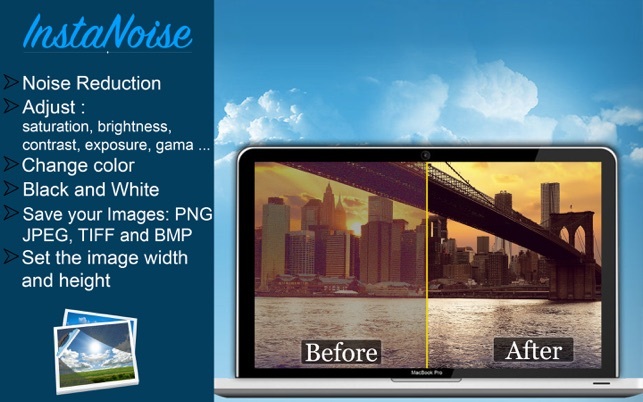 On the bottom of the app, you can use the noise correction tools to restore your image. 3. 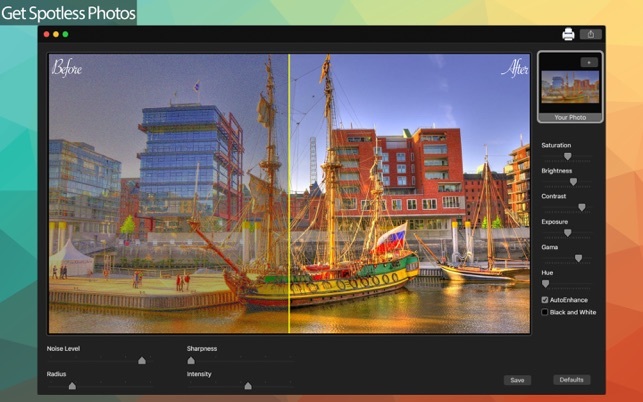 On the right side of the app, you can choose what tools you wanna use to encrease the effects of your image. 4. For Color Change, move the Hue bar. 5. For Light Adjustment, move the Exposure bar. 6. Use the [ Default ] button if you wanna use the default settings of your image. 7. Click [ Save ] button to save your image, choosing between PNG, JPEG, TIFF and BMP formats. 8. To print your image, you can click on the Printer button. 9. To post your photo on social media, you can click on the share button and choose the social network you wanna post.